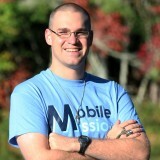 As most of you are aware, I recently arrived at the Mundelein Seminary in Illinois for the Archdiocese of Atlanta. While the transition has been, at times, the best thing I have ever done – at others, it’s been a time of extreme struggle and strife – as the storm rages in the heart of anyone following the will of God. The question then gets posed, what gets you through times of doubts, or struggles, or challenges when what God is calling you to comes into conflict with your own heart? The simple answer to that question is the overwhelming amount of grace, love, joy, and support provided, not only by God, but by those around you. I plan to speak on one of these simple, yet beautiful graces and joys that the Lord has shown to me. Over this past summer, I was given the opportunity to serve at Covecrest and Hidden Lake with Life Teen as a seminarian at their summer camps. All I knew going into it was that I would be serving at Masses and basically just being present to the teens at these camps. During this time of discernment, I was constantly bombarded with questions from family, friends, and even those who did not really know me. The one that kept coming up was the concern about a priest not being able to get married or have children. Every time the question was posed, my answer would always be directed back to the idea of spiritual fatherhood. For most, this seems like a lofty idea, or something that was made up to make priests feel good about their decision. For those of us who live out, or are living out, that notion of spiritual fatherhood, I can tell you that it is not some lofty ideal, but in fact something extremely concrete. While I was serving this summer at camp, I was attached to two different youth groups: a high school group for one week and a middle school group for the other week. Both of these groups, in their own way, made a much bigger impact on my life than I think I could have ever made on theirs. 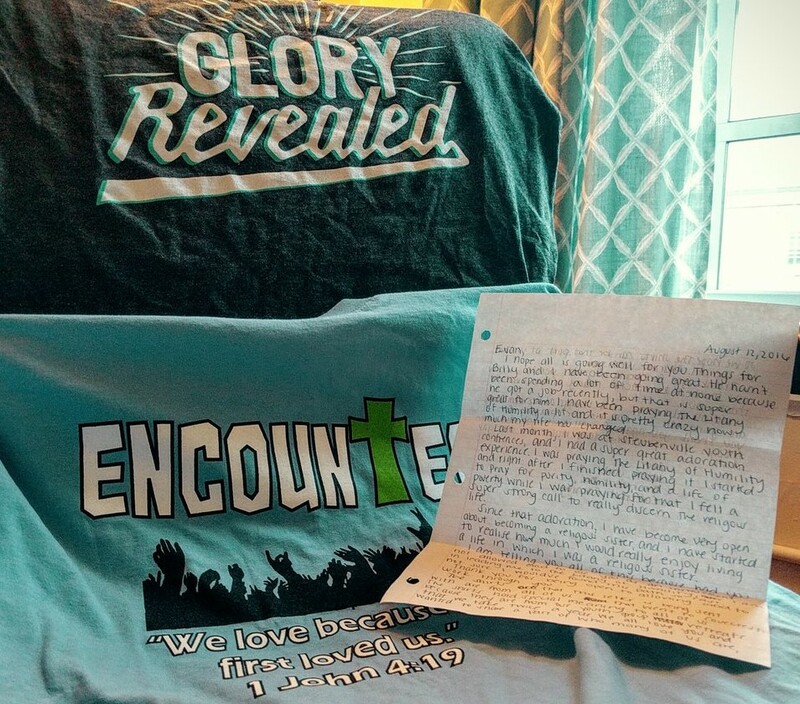 Tonight I received a package from that high school youth group containing two retreat shirts and a handwritten letter. The letter was a thank you letter written by that community that I was blessed to be a part of, and the shirts were a way of them telling me I belonged to their parish family. You see, before the summer, I had never met anyone in either of these youth groups. For that youth group to go out of their way to find my address at the seminary, write the letter, and continue to think of me after that week is beyond anything I could imagine. You see, priests may not have children of their own, but everyone they meet is a son or a daughter. It is difficult for our society to understand because we have lost what it means to have self-sacrificial love. The same way a father or mother loves their children, is the way a priest is called to love everyone. There have been so many moments where I’ve felt like a proud father, even from where I am, just now starting out at the seminary. To be walking this journey with people I have known for a lifetime, for a few years, or even just a week or day at a time still brings me the true joy that any parent would have for any of their children. To all of you who have been with me so far on this journey towards following God’s call, thank you and know that I am praying for you. For those two youth groups in particular: know that since our time at camp, I have not stopped praying for each and every one of you. Know that wherever God calls you, that getting yourself out of the way will lead to the most adventurous life one could ask for. It will be challenging, it will be difficult, but know that there is no joy on earth that could ever rival that of God’s grace and He promises to walk that journey with you. Thank you for letting me get to spend a short time with you and for including me in your parish family. Be assured of my continued prayers! Evan that was beautiful! Thank you for sharing the less understood parts of this journey to priesthood 💕 God bless you!